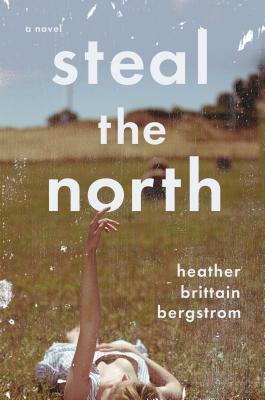 Vocally graceful and fearlessly intimate, STEAL THE NORTH (Viking; On-sale: April 14, 2014; $27.95; ISBN: 9780670786183), Heather Brittain Bergstrom’s debut novel, is a striking portrait of modern identity, faith, family, and love in all of its forms. The story, which Bergstrom deftly narrates in various voices, centers around Emmy, a California teen who discovers her mother’s past, the family she never knew she had, and an extraordinary love in the land of her birth, eastern Washington state. With atmospheric prose and engaging characters, Bergstrom has delivered a novel that will appeal to literary and commercial fiction readers alike. Emmy Nolan is a sheltered and introverted sixteen-year-old living in Sacramento with her mom, Kate, when a phone call comes from an aunt she never knew existed. Fifteen years earlier, Kate had abandoned her only sibling, Beth, fleeing their tiny eastern Washington town and the fundamentalist Baptist church that had condemned her as a whore. Beth, who’s pregnant for what she knows is the last time after countless miscarriages, believes her only hope for delivering the baby is Emmy’s participation in a faith healing ceremony. Emmy reluctantly goes. Despite uncovering her mom’s desperate and painful past, she soon finds she has come home—immediately developing a strong bond with her Aunt Beth and feeling tied to the rugged landscape. Then Emmy meets Reuben Tonasket, the Native American boy who lives next door. Though filled with passion, their love story mirrors those of the generation before them, who fear that their own mistakes are doomed to repeat themselves in Emmy and Reuben. STEAL THE NORTH is an imaginative and deeply felt debut, one whose characters live at a nearly intolerable level of vulnerability. Yet, as fragile as they may seem, Bergstrom has imbued them with a tremendous inner strength, proving that the idea of home is a spiritual one, that getting over the past is hope for the future, and that the bond between family is truly unbreakable. Reminiscent of Sara Gruen, Sue Monk Kidd, and Ann Patchett, Heather Brittain Bergstrom is a remarkable new voice in contemporary fiction. About the author: Heather Brittain Bergstrom has won fiction awards from The Atlantic Monthly, The Chicago Tribune, Narrative Magazine and others, and a story was named a distinguished and notable story for The Best American Short Stories in 2010. Her short fiction has been published in several literary journals and anthologies. She holds an MFA in Creative Writing. She is from eastern Washington and now resides in northern California. For more info check out her website at http://heatherbrittainbergstrom.com. I hit enter too soon when I filled out the form so I didn’t get my address in. Sorry! Thanks for the giveaway! Thank you so much, Mary, for spotlighting my debut novel, STEAL THE NORTH, and for hosting a giveaway. I am so exciting that my novel is finally launching into the world today. Readers can also find me on Facebook at http://www.facebook.com/hbbergstrom and on Goodreads. Thanks again for your support of me and other writers. Great looking book, I’d be stoked to win a copy. I’m not trying to cheat but I might have received the email on two different days and filled out the form twice. If so, this is my full disclosure, sorry. Absolutely loved it!! My favorite books are those written from multiple perspectives. The author crafted deeply complex characters, each forced on a transformational journey to explore old and new identities. I loved the mother character and the way she tied her to modern women; the apparent unyielding character, who had actually made the ultimate sacrifice to bring her child up in a healthier environment, her references to everyday things that continually cause irritation, such as her teeth. The desolate beauty shown in the souls of the characters and in the landscape, deep haunting pathways and crevasses, leave you forever hearing voices of those gone before and marveling at the awe inspiring beauty of the land and of ties that forever connect.